Each baby is about the size of a Napa cabbage or jicama. Learn more about your twins’ progress: Twins fetal development at 32 weeks pregnant. 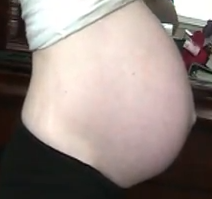 Total weight gain for the twin pregnancy so far will average between 34 to 50 pounds (15.4 to 22.7kg). 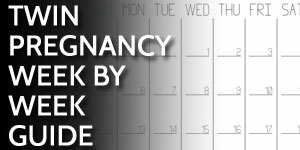 Your twins are early preterm and the odds of survival are better than weeks past. Twins born during the 32nd week still risk medical complications but their prospects are good. Twins born this week average a hospital stay (including the NICU) of about 20 days. T.Z. gave birth to twins at 32 weeks and they spent 5 weeks in NICU. Amber M.’s twins were born at 32 weeks weighing 4lb 1oz and 4lb 6oz. They spent 47 and 49 days in NICU repectively. When Mom is 32 weeks pregnant with twins, discuss with your wife how you’ll keep your relationship strong after the twins are born. Your twins will require almost all of your time and energy. If you don’t plan for this, your marriage will suffer. By the time Mom reaches 32 weeks pregnant with twins, you’re thinking ahead to the delivery. With a possible c-section on the horizon, you need to consider how you’ll do in the operating room. Will you have a queasy stomach? Or will you be just fine? Your wife and twins are the focus in the hospital, so make sure you don’t end up needing medical care too.